Duvine provide a range of self-contained battery trays for easier installation, service and replacement. These come in a range of Voltages and Currents, with the ability have A + B banks. Starting from 1U 19” rackmount dual pluggable 48V 2Ah packs. 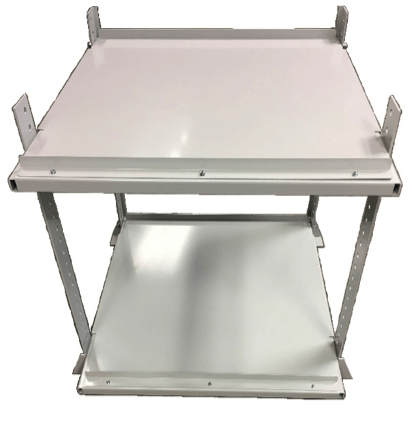 Duvine also provide a range of free standing or rack mountable battery trays. For use as a free standing battery rack, or inside an exsiting cabinet.